Combining three of the most attractive destinations Peru has to offer, the Peru adventure travel is a trip of a lifetime. You will navigate the impressive Apurimac River, an exhilarating raft ride with rapids ranging between grades II and V, hike the spectacular Inca trail and see the majestic Machu Picchu, then finally bike from the Andean Peruvian high mountains down to the Amazon jungle. On day 1 you will arrive in Lima at a time that suits you. You will meet your guide who will give you a brief introduction about your journey ahead and then be transferred to your hotel, located in the area of Miraflores. Miraflores is an exclusive part of Lima that overlooks the Pacific ocean from a cliff of more than 400 feet. You certainly won’t be bored on your first day; Lima’s bustling modern centre is full of shops, world class restaurants, pubs and nightspots. Optional activities: City tour from $40; culinary tour from $50 (depending on arrival time). On day 2 you will transfer to Lima airport for your flight to Cusco. The flight through the Peruvian sky offers beautiful views and scenery as you fly over the Andes, the Amazon jungle and snow-capped peaks. When you arrive at Cusco Airport, you will be met by the River Explorers staff and transferred to your hotel. Situated in the Andean Mountains, Cusco is recognised as one of the most important historical cities of the Americas and as such has a plethora of archaeological wonders. Modern-day Cusco has a mix of Inca and Spanish colonial architecture and lovingly preserves its culture, traditions and customs and the use of the Quechua and Spanish languages. The main issue you are likely to face when you arrive in Cusco is the altitude. It is recommended that on this day you take things easy and go straight to your hotel where you can rest. Avoid alcohol and cigarettes, and make sure to drink plenty of water and fluids to keep hydrated, especially mate de coca (tea which is infused with coca leaves). Altitude pills are also a good option. Around 7 p.m. you will meet your river guides to be briefed on your upcoming Peru Adventure, the Apurimac rafting trip. High in the magnificent Peruvian Andean Mountains with their astounding peaks and infinite rapids, your expedition on the Apurimac River begins. During these three days you will raft through astonishing scenery and cover more than 200 rapids between grades II and V.
At the end of the third day, our private bus will be waiting for us to take us back to Cusco. *Please note that the Apurimac River is open from May to November. 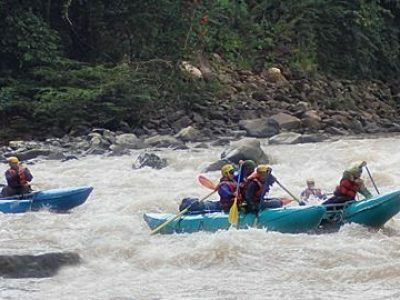 During the rainy season (December to April), the tour runs from the Urubamba River, with its rapids at grades II, III and IV with long, constant waves through a beautiful canyon. Meals included: All breakfast, three lunches and 2 dinners. After three hard days rafting, it’s time for you to relax so you can be ready for the next part of your Peru Adventure, the Inca Trail to Machu Picchu. If you fancy taking an optional tour in Cusco, such as this City tour, horseback riding, paragliding or, if you need to ease your aching muscles after the rafting, a massage treatment, then these are all available to purchase. For more information, contact us. One of the most important destinations in Peru, you simply can’t not visit The Sacred Valley on your Peru Adventure Travel Getaway. The Sacred Valley covers the towns of Pisaq and Ollantaytambo and offers incomparable Inca remains, charming towns, amazing Andean Mountain views and plenty of time to enjoy the countryside. At approximately 8 a.m., once you’ve had breakfast, you’ll meet your guide at your hotel. You’ll then set out in our private van on the scenic one-hour drive to Pisaq through stunning mountains and small, picturesque villages. You enter the Sacred Valley through its beautiful southern section along a winding road, making your way through a young valley surrounded by high mountain peaks. A short drive uphill takes you to the Pisaq complex, where our knowledgeable local guide will give you a wonderful tour of the site. Pisaq is mostly known for its Inca complex which lies atop a hill at the entrance to the Sacred Valley. The ruins are separated along the ridge and include temples, altars, baths, water fountains and the Intihuatana, a ritual stone linked to the astronomic clock and serving to define the changes of the seasons. After an interesting visit to the complex, we will make a visit to Pisaq market, the perfect place to look for handicrafts and other souvenirs made by the villagers. Even if you don’t plan to buy anything, exploring the market is an unmissable opportunity; Andean people come from many different native communities, some from remote rural ones, wearing the traditional dress of their villages, giving you a fascinating insight into Peruvian culture. We will then travel out of town via the traditional Sacred Valley road, where you will be greeted by the amazing sight of rolling hills of beautiful corn crops which then give way to charming towns of La May, Qoya and Calca. The road meanders through the valley of the Urubamba River, leading us towards Urcos and Urubamba town. Here we will take a break to enjoy a delicious buffet lunch before continuing onto Ollantaytambo. Once the royal estate of the Emperor Pachacuti, Ollantaytambo can be described as an original Inca-living town; it’s extremely well-kept as the inhabitants built the entire town on top of old Inca remains, giving the town a special charm which can be seen nowhere else in Peru, or even South America. After an exciting day full of adventure, you will spend the night in Ollantaytambo. From days eight to 11 you will get to do one of the highlights of your Peru Adventure Travel Getaway, the Inca Trail To Machu Picchu. We will start our hike close to Ollantaytambo town and end at the impressive complex of Machu Picchu. Definitely one of the world’s greatest treks, this four-day hike to the impressive Machu Picchu rewards you with one of the most spectacular and beautiful landscapes on the globe, where the snow-capped Andean Mountains crash into the lush Amazon rainforest. Dubbed the ‘Lost City’, the Inca complex of Machu Picchu was hidden until its fairly recent discovery by Hiram Bingham in 1911. After the trek, you will have a complete guided tour around the complex. On the 11th day, you will take the train back to Cusco. 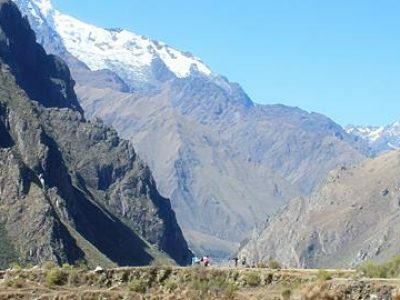 For the itinerary, see Inca Trail. For availability, see Inca Trail Availability On-Line. Meals included: Four breakfasts, three lunches and three dinners. If spaces for the Inca Trail are sold out, we offer the following alternative tours: Salkantay trek and Lares trek. Once again you will meet your guide at your hotel. The drive takes us along a scenic road through Calca, a small town in the Sacred Valley, Andean villages and the Lares Pass, situated 4,500 metres above sea level, which is where we will start our tour. Getting on your saddle, you will mountain bike downhill for two hours passing snow-capped mountains and traditional rural communities until we reach Lares hot springs. Here you will relax and enjoy the warm waters and stunning scenery. 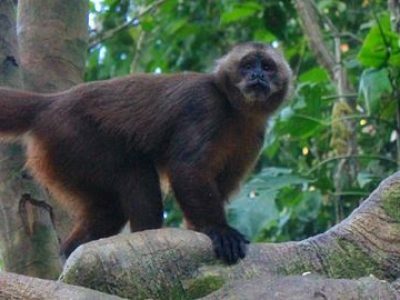 On the second day you will descend 1,200 metres above sea level, giving you the opportunity to see the massive change from an arid, dry climate to the warm humidity of the Amazon jungle terrain. In the afternoon, we will come back to the hot spring for the night. On the last day of your Peru Adventure biking trip, we will have three to four hours of mountain biking, finishing at Calca where we will have a spot of lunch. We will then catch our bus which will take us to Cusco. Accommodation: Camping; hotel in Cusco. Meals included: Three breakfasts, two lunches and two dinners. For more information on this part of your Peru Adventure, see Lares bike. Arriving back in Lima, we will have a goodbye lunch together – the perfect end to a perfect Peru adventure. We choose one of the best places the city has to offer so you can enjoy delicious typical Peruvian dishes from the coastal area. You then are free to depart the tour. Accommodation: Six nights’ 3-star hotel; one night 2-star hotel in Ollantaytambo; seven days’ camping. If you wish to upgrade your hotel category to 4- or 5-star, please ask for more information. Transport: Public and private buses; local internal flights; train; boat; trekking. Meals included: All breakfasts; nine lunches; seven dinners. Peruvian food is very diverse, with each region and even some cities having their own typical dishes. With our help, you will try some of the best food on offer. Apurimac Rafting: All rafting equipment, including life vest, wet suit, paddle jacket, helmet, paddle, kayak and luggage boat. Lares mountain biking: All biking equipment, including bike, guide, knee and elbow protection, helmet, gloves and all camping gear. Inca Trail: Local English-speaking guide; camping gear such as two-man tents and kitchen and dinner tents. Sacred Valley tour: English-speaking guide; entrance fees to the ruins; transport. *We carefully design this program in order for you to get fully adjusted to the altitude. Beginning the trip at low altitude and slowly ascending. However, keep this in mind when booking the tour as you will be performing the activities at altitude. Because of its location among the Andean Mountains, we recommend that you bring some warm clothes, especially if you travel between May and September; during these months the early morning and nights in Cusco and Puno can be very cold. Any other items you wish to bring are at your own discretion; however, make sure you comply with the suggested weight limit. For more information, please look at our Peru Adventure travel Information. Due to Inca Trail regulations, you need to book this Peru Adventure trip at least five months in advance. If this is not possible, we have the Salkantay Hike tour as an alternative to Machu Picchu; this tour doesn’t need to be booked as far in advance. For the itinerary for the Salkantay Hike tour, see Salkantay Trek. For more information about travelling in Peru, please see Peru Travel Info. Not happy with this tour? Tell us what you want and we will tailor a package according to your requirements. Alternatively, view our similar packages, such as our Peru Adventure tour – Magical Andes and Amazon. Our fully-customised departures for the Peru Adventure package are flexible from May to November. A minimum of two people is required for a tour to take place; just pick a date and let us know.